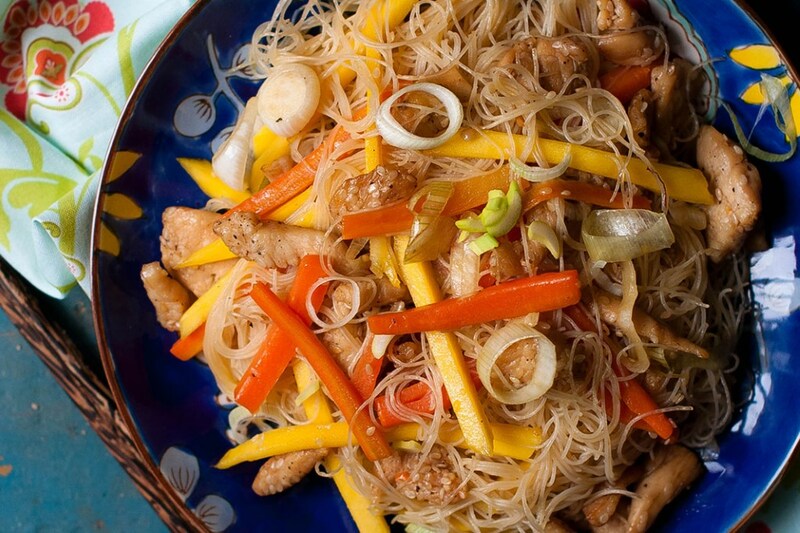 Thai Noodles. Photo from Thai Lotus’s website. A new café, Red June Café, specializing in coffee, baked goods, breakfast and lunch, will open in May at 773 N. Jefferson St. near Cathedral Square Park. 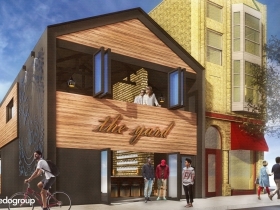 The Milwaukee dining spot will have the same menu as the Chicago Red June Cafe, which boasts items like avocado toast, biscuits and gravy, steamed eggs and a variety of sandwiches. Blackburn said she also hopes to create a similar atmosphere, where the patrons are comfortable and familiar with the employees. The story also noted that Red June Café hopes to work with local vendors and is interested in partnering with Cranky Al’s in Wauwatosa to sell doughnuts at the café. For more details on Red June Café visit www.redjunecafe.com and their new Milwaukee location’s Facebook page. 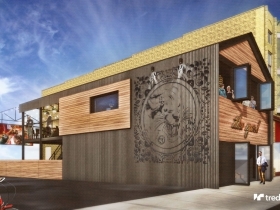 Thai Lotus, a Milwaukee mainstay for Thai and Laos cuisine in Silver City, plans to open a second location at 1000 E. Locust St in Riverwest. The space was formally occupied by Tuk’s Thai Kitchen. 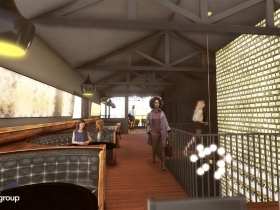 Co-owner Raphael Sivongsa told OnMilwaukee.com’s Lori Fredrich that after approval from city inspectors, they are looking for a April 1st opening. Fredrich reports that Sivongsa’s nephew will be a partner at the new location and that they will be offering the same menu as the original location. 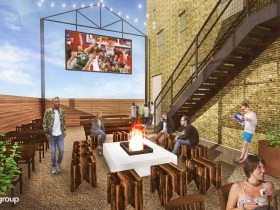 Urban Milwaukee’s Jeramey Jannene reports that developer Athina Properties is looking for a tavern operator to run a tavern they are developing at 324 W. State St. near the Bradley Center. 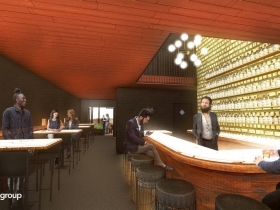 The interior design is an upscale hole-in-the-wall with a whiskey lounge feel, while the exterior concept is really an open garden with large event opportunities. Athina’s Aldo Tase told Urban Milwaukee his company hopes to move forward on the build-out in the next two or three months. He also said they will consider running it themselves if they do not find an operator. Doc’s Commerce Smokehouse is officially open and serving Southern-style barbecue. The restaurant is located in the SpringHill Suites building at 744 N. 4th St.
As UrbanMilwaukee previously reported the menu will include brisket, pulled pork, chicken, ribs and turkey along with sides like Carolina hot slaw, macaroni and cheese, and Southern style Brunswick stew. 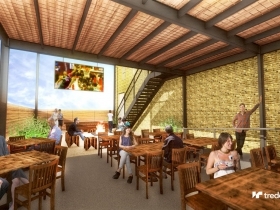 Fredrich has more details about the restaurant and food offerings. Platters, such as the rib and brisket platter, include your choice of meats and two sides, along with house pickles and white bread. Pricing is $12-24, depending on what you choose. You can also get a slab of ribs and two pints of sides for $33, or a Doc’s Sampler featuring ribs, brisket, pulled pork, turkey, wings and sausage for $45. Meats come dry-rubbed and smoked, but you have your choice of regional sauces, including a spicy Texas-style sauce, a tangy tomato-based Memphis style sauce, Eastern Carolina pepper sauce, Doc’s signature sauce that is sweetened with molasses and brown sugar, and a poultry-friendly Alabama-style white sauce made with mayonnaise and vinegar. Doc’s is open daily at 11:00 a.m. 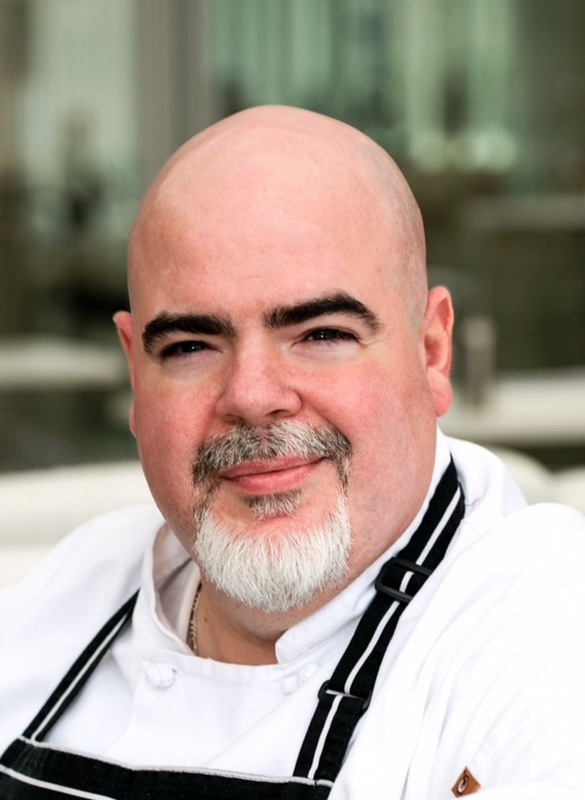 Award-winning chef Jason Gorman, formally of The Milwaukee Art Museum and The Iron Horse Hotel, has been announced as the new Culinary Director at The Ambassador Hotel. Envoy specializes in creative New American fare and cocktails served amid art deco surroundings within the Ambassador Hotel and is open from 6:30 a.m. to 12:00 a.m. seven days a week. According to Rascal’s Facebook page, the bar will be closing after April 1st. After 19 incredible years, we would like to announce that Rascal’s on Murray will be going into retirement at the end of this month. It’s been one hell of a ride and we can’t put into words how thankful we are for everyone who has joined us along the way! Red June’s address will be 773 N. Jefferson, not 733. @Joe. Thanks I’ve fixed it.